Your exchange in Indonesia will prove to be the adventure of a lifetime! Indonesia has over 17,000 islands. How many will you be able to set foot on during your exchange? Whether you want to explore the ancient monuments, relax on the beautiful beaches, or walk the busy streets of the cities, Indonesia is a country that has something for everyone! Indonesia is home to the growing tourist hotspot, Bali. Bali is known for its beautiful oceans, volcanic mountains, and colorful rain forests. Indonesia is filled with historical monuments, delicious food, and lots of new experiences waiting for you to try! Once you experience Indonesia firsthand, you may never want to leave! A huge part of studying abroad is trying the new foods of the country. Indonesia is known for their intense, colorful, and delicious dishes. They have been referenced as the “land of spices,” since they use a variety of delicious spices in their cooking. What makes Indonesian foods so unique is their popular street foods. The most popular one is Satay. These yummy snacks are skewers of meat cooked over coals and served with rice. Another popular street food is Nasi Goreng, which literally means "fried rice." This is considered the national dish of Indonesia and can be found everywhere from street vendors to dinner parties or restaurants. Be sure to try all of the new dishes Indonesia has to offer so that when you travel back home you can introduce your friends and family to all the new foods you’ve tried! Indonesia is known for their magnificent temples, which attract people of all religions. The most popular ones include Borobudur and Prambanan. These ancient monuments date back to even before the 9th century! Your host family may take you to visit some of the museums that Indonesia has to offer. One of the more popular ones is the National Museum of Indonesia, which has everything from ceramics to fossils! There is also a huge expanse of nature reserves, filled with beautiful trees, flowers, and animals that you won’t find in your backyard in the U.S.! While studying abroad you will be able to experience all the culture and history Indonesia has to offer. Music is a huge part of the culture in Indonesia, including folk music and gamelan, a type of instrumental music. In addition to music, Balinese dance, which was derived from the Bali Island is a very popular type of dance tradition. This type of dance involves lots of movement and action and is very interesting to watch! As a student in an Indonesian school, you will be surrounded by kids your age, learning new customs and hobbies. You will be able and encouraged to join the extracurricular activities in your host school. Schools offer various activities including traditional dance and music, journalism, futsal, basketball, and photography. Participating in these extracurriculars is a great way to make friends and gain knowledge of the Indonesian culture. The friendships you make studying abroad can last a lifetime, so be sure to step out of your comfort zone and try new things! Do you want to immerse yourself in a new culture, while being able to learn new languages, customs, and hobbies? Studying abroad in Indonesia can give you all of that plus more! With so much to do, you’ll never have a dull moment in Indonesia! Please note that vegetarians and vegans cannot be accommodated in Indonesia. Students must be willing to eat meat and animal products in order to be accepted into the program. School in Indonesia begins in July and ends in June. Students will be placed in public or private schools. The schools are chosen according to where the siblings are studying or where the host family is located. Students will take a Language Course for two weeks subsequent to your arrival. It will help you to get over some initial adjustments and language barriers. AYFU Indonesia offers two trips every year for exchange students, which are included in the program tuition. The first is a 4-day, 3-night trip to Bali. The Bali trip includes travel, lodging in a 4-star hotel, meals, and a 3-day guided tour of Bali. The second is a trip to Yogyakarta, which includes travel, lodging in a 4-star hotel, meals, and a 2-day guided tour of Yogyakarta. Students will learn more about these trips upon arrival in Indonesia. Fall Year program: July 6, 2002 - January 6, 2004. Summer program: June 15, 2002 - December 15, 2003. Students who do not meet this age requirement or will graduate from high school before the start of their program will not be considered for admission. Indonesian and English. Previous language study is not required. YFU students will be placed in urban or suburban areas with upper income families. In this 8-week long program, you will be able to learn more about the Indonesian culture by living with a host family, making friends, and attending school! All students must be available for a mandatory 3-day National Pre-Departure Orientation, which usually takes place in mid-July. This orientation is a required part of the program aimed at preparing students for their experience overseas. All students will participate in a one-day local pre-departure orientation in May or June. All orientation costs are included in program tuition. 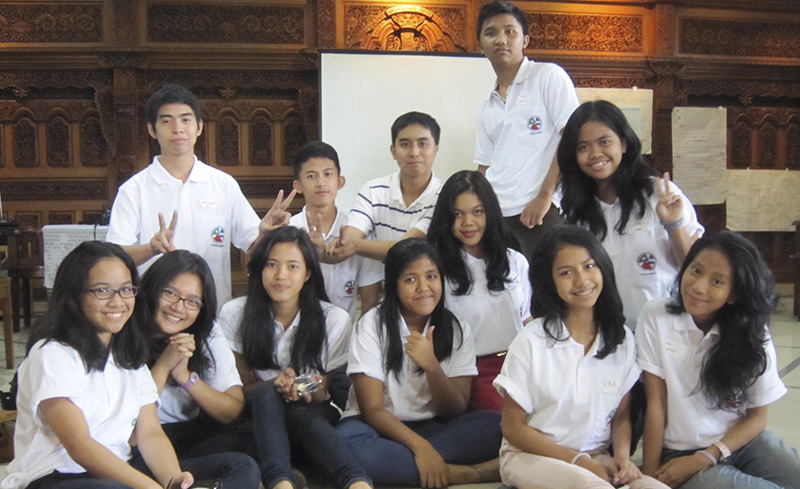 YFU Indonesia offers two trips every year for exchange students, which are included in the program tuition. The first is a 4-day, 3-night trip to Bali. The Bali trip includes travel, lodging in a 4-star hotel, meals, and a 3-day guided tour of Bali. The second is a trip to Yogyakarta, which includes travel, lodging in a 4-star hotel, meals, and a 2-day guided tour of Yogyakarta. Students will learn more about these trips upon arrival in Indonesia.